JOAN IS THE MIR-ACLE MAN! Joan Mir (Honda) became the first rider ever to score more than eight wins in a single FIM Moto3 World Championship season as he stormed to the title in dominant fashion. A former FIM CEV Repsol Moto3 Junior World Championship rider in 2015, when he gave a sign of his great promise by standing on the podium at each of the races he finished, Mir was crowned Rookie of the Year at Grand Prix level in 2016 with fourth place overall and kicked off this campaign with a second career victory in the opening round at Losail. The 19-year-old would hold firm at the head of the standings throughout the remainder of a stunning campaign. Backing up his victory in Qatar with the same result at round two in Argentina, Texas proved to be his worst result in the first half of the year when he came eighth, but Mir bounced back on home turf at Jerez to take third, only a tenth off the win, and was quickly back on the top step at Le Mans. 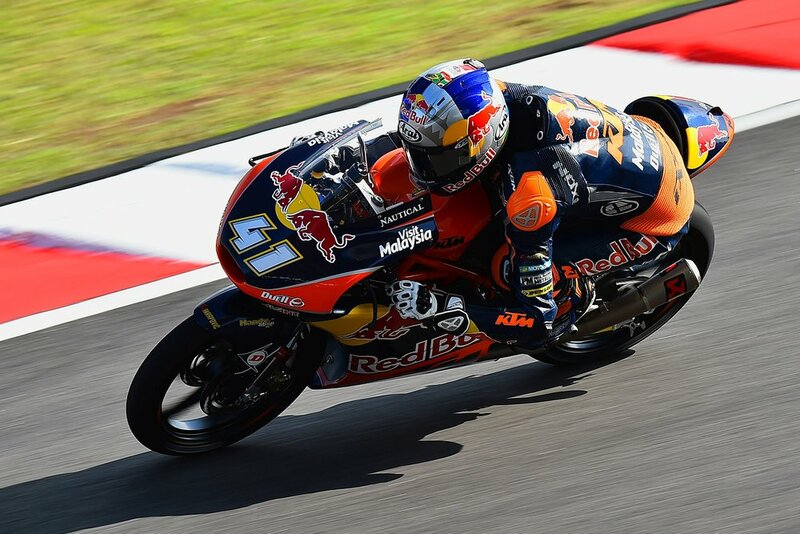 He won again at the Catalan GP before stringing together wins at Sachsenring, Brno and Austria. After losing some ground to key rival Aron Canet (Honda) at Silverstone, he produced a calm ride to second in the rain at Misano and Aragon saw him back on top of the podium, setting him up with his first chance at the title at Motegi. 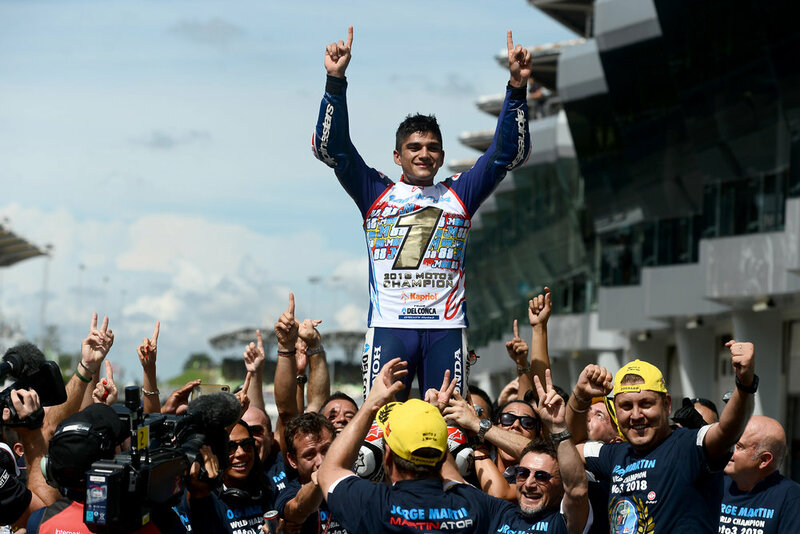 In torrential conditions, the tale took a twist as Romano Fenati (Honda) took the win and Mir failed to score, but at Phillip Island it was a different story, as the Majorcan took his ninth win of the year clinch the title with two rounds to spare.